HARTWICK - John H. Stephan, Sr., a retired New Jersey Firefighter, passed away at his home in Hartwick Monday night, April 20, 2015. He was 90. Born December 31, 1924, in Rahway, NJ, John was a son of Thomas and Jean Stephan. As a young man, he enlisted in the United States Army, and proudly served his country with Battery A 288th Field Artillery Battalion during World War II. During that time he was part of General George S. Patton's Army in the Ardennes Offensive ("The Battle of the Bulge"). A sharpshooter, he was sent to various places to compete, and often won competitions with various pistol teams. After the war, John returned to his native Rahway, and served as a paid professional firefighter for 31 years with the Rahway Fire Department. He liked to fish, hunt and sharp shoot. He also loved to ice skate and in his youth won second place in the silver skates at Madison Square Garden. After retiring from his career in firefighting, John worked part time at the National Baseball Hall of Fame and Museum in Cooperstown. John is survived by his wife, Ethel Galland-Stephan, of Hartwick, whom he married in 1989; one son, John H. Stephan, Jr. and his wife, Lorraine, of Rahway, NJ; two daughters, Joanne Kreisberg and her husband, Irwin, of Rahway, NJ, and Carol Reisner and her husband, Joseph, of Palm City, FL; five grandchildren, Ashlee Theissen and her husband, Brad, John Stephan, grandson-in-law Robert Fleischmann, Robert Kreisberg and his wife, Stephanie, Scott Reiser and Colleen Reiser; and five great grandchildren, Nash Theissen, Bryanna and Tyler Fleischmann, and Dillon and Jake Kreisberg. He is further survived by a step-daughter, Kathleen Galland Bennett and her husband, Raymond R. Bennett, Jr., and their son, Ryon Bennett; and two brothers-in-law, Rudy Svantner and Tom Svantner and his wife, Mary. He was preceded in death by his first wife, Marie, who died in 1984; one granddaughter, Noreen Fleischmann; and a step-daughter, Cynthia ("Cyndi") Ann Galland, who died in 2005. In New York State, family and friends are invited to pay their respects at the Connell, Dow & Deysenroth Funeral Home, 82 Chestnut Street, Cooperstown, from 4-7 p.m. on Thursday, April 23, 2015. A Prayer Service will be offered at 6:30 p.m. in the funeral home with Rev. David Wm. Mickiewicz, pastor of St. Mary's Roman Catholic Church in Oneonta, officiating. In New Jersey, a visitation will be held at the Corey-Ragan Funeral Home, 259 Elm Avenue, Rahway, NJ, from 2-4 & 7-9 p.m. on Sunday, April 26, 2015. Funeral Services will begin at 8:45 a.m. on Monday, April 27, 2015, from the Corey-Ragan Funeral Home in Rahway, NJ, thence to St. John Vianney Roman Catholic Church in Colonia, NJ. for a 9:30 a.m. Liturgy of Christian Burial. The Service of Committal and Burial with Military Honors will follow at St. Mary's Cemetery in Clark, NJ. Expressions of sympathy in the form of memorial gifts may be made to the Hartwick Fire Department Company No. 1, P.O. Box 86, Hartwick, NY 13348. 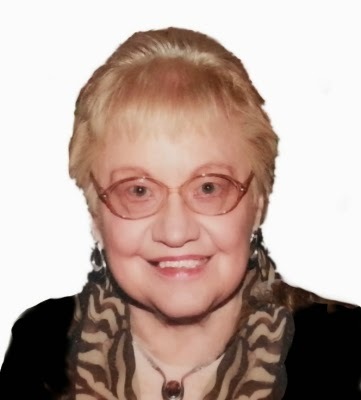 FLY CREEK VALLEY - Helen T. Rhyde, 81, of Fly Creek Valley, passed away Thursday night, April 9, 2015, surrounded by her family at her home on Roses Hill Road. She was born at home in Fork Shop on March 7, 1934, a daughter of George H. and Luella May (Bouton) Turner. A dedicated Redskin, she was a proud member of the Cooperstown High School graduating Class of 1953, which was the last class to hold their graduation ceremony in Smalley's Theatre. On December 27, 1954, Helen married Douglas Schuyler Rhyde in a ceremony at the Fly Creek Methodist Church. Together, they raised their family and ran their dairy farm on Roses Hill Road for 60 years. She also served for 25 years as a supervisor with the Otsego County Department of Social Services. For many years Helen was a member of Arbutus Chapter No. 317, Order of the Eastern Star in Richfield Springs, and was currently a member of Otsego-Hartwick-Arbutus Chapter No. 201, Order of the Eastern Star in Cooperstown. At one time Right Worthy Rhyde served the Grand Chapter Order of the Eastern Star as District Deputy Grand Matron. Throughout her life, Helen always enjoyed sporting events, and was a die-hard fan of the Buffalo Bills, the New York Knicks, and the New York Mets. All three teams now have an angel looking over them in heaven. Helen is survived by her husband of 60 years, Douglas S. Rhyde; their four children, Patricia Rhyde, Michael Rhyde, Susan Sherman and Kelly Steele; four grandchildren, Sara Oetjen, Stacy Thoutt, Michael Rhyde, Jr., and Gabrielle Elizabeth Rhyde; one brother, Jack Turner and his wife, Nancy; one sister Violet Moshier; a sister-in-law, Gail Rhyde; and many nieces and nephews. She was predeceased by two brothers, George C. Turner and Robert Byron Turner; and four sisters, Marion Fritts, Dorothy King, Mary Frances Turner, and Shirley Record. A Funeral Service will be offered at 11 a.m. on Monday, April 13, 2015, at the Connell, Dow & Deysenroth Funeral Home in Cooperstown, with the Rev. Jack Klosheim, Lead Pastor of Community Bible Chapel in Toddsville, officiating. Friends may greet the family on Monday morning at the funeral home one hour prior to the service. For those who wish to make a memorial gift in memory of Helen, her family respectfully requests that donations be made to the Susquehanna Animal Shelter, 4841 State Highway 28, Cooperstown, NY 13326. COOPERSTOWN - Louise Y. Woods, 88, passed away peacefully in the early morning hours of Easter Sunday, April 5, 2015, at her home in Lakeland Shores. She was born August 29, 1926, in Brooklyn, a daughter of Alfred W. and Paula W. (Grösser) Engelmann, who were both natives of Germany. A graduate of Mineola High School, Louise and her family moved from Long Island to Cooperstown, where her father purchased the 25-acre Lakeland Shores housing development site on the southeast shore of Otsego Lake and also founded the Lake Front Motel. On December 29, 1946, Louise married Francis Richard Woods in Cooperstown. True entrepreneurs, their first business was a paper recycling plant in Cooperstown Junction. They later sold wholesale goods from a storefront on Main Street in Cooperstown and then purchased 61 Main Street directly across the street and opened F.R. Woods. They first sold toys upstairs-in what was known locally as Toyland -- with fine collectible gifts downstairs, and later purchased 63 Main Street next door and started the first sports and baseball memorabilia store in the village. Louise became well-known by many tourists from around the country for her excellent customer care, as she would custom design team jackets and jerseys to meet particular needs. When licensing and royalties became an issue with Major League Baseball the business model changed, but Louise never lost her touch in always making sure customers received what they wanted. F.R. Woods later became the first New Era hat retailer, and Louise always took the time to measure any potential customer's head in order to give them a perfectly fitted ball cap. Upstairs business suites were later converted into the Baseball Town Motel, making it the closest possible tourist accommodation in the village to the National Baseball Hall of Fame and Museum. A faithful communicant of St. Mary's "Our Lady of the Lake" Roman Catholic Church in Cooperstown, Louise was always praying for someone in need. A non-judgmental and truly selfless person, she will be remembered as a wonderful mom who would do anything for anybody. Louise is survived by two daughters and sons-in-law, Karen and Norman Johannesen of Cooperstown and Lorelei and David McCall of Wakefield, Massachusetts; five grandchildren and two great grandchildren, Jason Johannesen and his wife Melina, and their children Savannah and Leif, Kim Johannesen and her husband Patrick Shepard, Erika Johannesen, Noah Johannesen and Ainsley McCall; her identical twin sister, Haidy Zoeller and her husband, William of Cooperstown; a sister-in-law, Gail Pyontek and her husband, Edward, of West Trenton, New Jersey; a niece, Paula Wykoff and her husband, Terry, and their daughter Tulsa and her husband Joseph Lepetich; and three nephews, Alfred Zoeller (and his four children, Lonnie, Alexander, Christian and Brett) and Keith and Erik Pyontek. She is further survived by a very devoted and special family friend, Janet Hotaling, who worked side-by-side with Louise for nearly 50 years and in later years provided her with wonderful care. Louise was predeceased by her loving husband of 52 years, Francis R. Woods, who died March 22, 1999. Beginning Sunday afternoon, April 19, 2015, Louise will be lying in repose in the sanctuary of St. Mary's "Our Lady of the Lake" Roman Catholic Church in Cooperstown, where friends may call and pay their respects to the family from 3-5 p.m. The Liturgy of Christian Burial will be offered at 10 a.m. on Monday, April 20, 2015, at St. Mary's "Our Lady of the Lake" Roman Catholic Church in Cooperstown, with Fr. John P. Rosson, pastor, presiding. Interment will be in Hartwick Seminary Cemetery. For those who wish to make a gift in memory of Louise, her family respectfully suggests the following: St. Mary's "Our Lady of the Lake" Roman Catholic Church, 31 Elm Street, Cooperstown, NY 13326, or Catskill Area Hospice and Palliative Care, 1 Birchwood Drive, Oneonta, NY 13820.